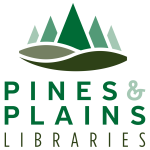 In a world full of fake news, Pines & Plains Libraries is glad to help you find useful, accurate info. on the Net. Click on the links in the menu below to explore each subject.